Prague may seem like a danger-zone for celiacs; it is, after all, a city known for cold beer and hearty dumplings. While finding gluten-free offerings can sometimes be a challenge, there are plenty of health shops and GF-friendly restaurants to support a gluten-free traveler. Once you know where those places are, finding a variety of tasty food options is a piece of (almond flour-based) cake! Here are the places where I’ve found gluten-free offerings in Prague. There are several others I haven’t tried yet, so please check the resources list for more! While Prague only has one completely gluten-free restaurant, several places around the city offer gluten-free menus or otherwise cater to people with GF diets. Prague’s first and only 100% gluten-free restaurant, Na Zlaté křižovatce, is located near the Florenc metro station. This restaurant serves delicious GF versions of traditional Czech food, including dumplings and pancakes. They also have a Czech gluten-free beer (Celia) on tap. There’s a small shop where you can purchase gluten-free food (flour mixes, bread, cookies, etc.) and beer to take home. This delightful little restaurant in Malá Strana is extremely accommodating to people with gluten-free diets; for example, they serve fresh GF bread. The kitchen at the Augustine Hotel, also in Malá Strana, can prepare gluten-free bread, pasta, muffins, and breakfast cereal. The Pizza Colosseum chain, with several locations around Prague, offers gluten-free pasta. Prague’s best vegetarian restaurant has delicious, clearly-marked gluten-free options, from raw cheesecake to meatless “no-chicken” and mushroom balls with mashed potatoes and coriander. Some of Prague’s grocery stores carry gluten-free products; for example, Tesco has gluten-free rice/soy cakes. You’ll also find specialty health food stores that carry a wide selection of GF food. This chain of drugstores (it’s like a Central European CVS) has a section of gluten-free products. You’ll find flour mixes, bread, cookies and sweets, cereal, pasta, and more. DM stores can be found all around Prague. This little gem is located in Prague’s main train station (Praha hlavní nádraží). BioPoint is a small bio (organic) shop with an entire gluten-free food section. It’s a great place to stock up on food and snacks if you’re arriving in Prague by train (or when you head out to your next city). A second BioPoint can be found in the Masaryk railway station (Praha Masarykovo nádraží) near Náměstí Republiky. Country Life is a chain of health food stores with four locations in Prague (three also have restaurants). They offer a large selection of gluten-free foods. This beer shop in Malá Strana sells Celia, a Czech gluten-free beer. Celiak.cz has information in Czech, English, and Italian, including recipes, grocery stores, and restaurants. They also have a “restaurant card,” which you print out and carry in your wallet; it explains what a gluten-free diet entails in Czech. 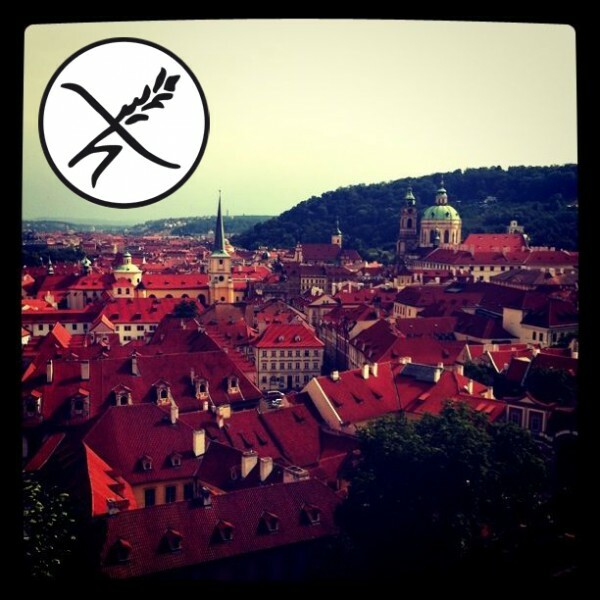 Lonely Planet has a forum on gluten-free food in Prague. So does Trip Advisor. The Gluten-Free Hotels Guide has a page on Prague. This entry was posted in Prague, Taste and tagged camilla, celiac, czech republic, dietary restrictions, europe, food, GF, gluten intolerance, gluten-free, prague, restaurants, travel. Thank you for this very helpful page. I know that restaurants can change very quickly – for example, when a chef moves on. It would be very helpful to know when this page was written so that Ian make an assessment of whether the information is liekly to be current. Hi, Geoffrey. I’m happy that the post was helpful! It was written on July 22, 2012. Thank you for this tip, David! My husband is celiac and we are travelling to Prague for the first time next week. It is always a little daunting to travel abroad with diet restrictions and this post makes me feel much better about going to Prague …. thanks so much for all the tips!! Headed to Prague next year, so excited to know I won’t have to live on chocolate while I’m there. Unless I want to. Thank you so much! Great article! Na slate krizovatce has been closed for 2-3 years. I’m gluten free in Prague and am happy to say gf products are getting easier to find. I moved here 10 years ago and there weren’t many gf products, even in Prague. The selection grows a little bit each year! We are taking our family to Prague at the end of this week. Our grandson is extremely sensitive to gluten and must be super careful to avaid any cross contamination. Do you know of any exclusively gf restaurants currently open in Prague? Any advice you have would be most appreciated.